Memorial Day weekend is right around the corner, but if you don’t have plans yet, it’s not too late to plan a getaway. 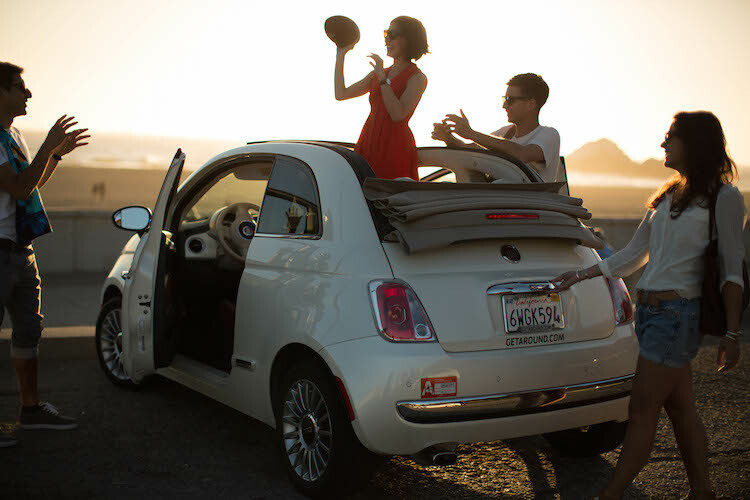 Thanks to technology, hopping in the car for a last minute road trip is no big deal. We’ve gathered a list of the apps you must download before you drive off. Use Airbnb to find accommodations along your route. You can book directly from your phone and find something in your budget. Whether you are looking to couch surf or rent a beach house, all the options are available for you. Make your car a smart car with Metromile. With the Metromile app, you can decode check engine lights on the road. If something comes up, you’ll know if you need to hurry in or if you just left your gas cap off. Find unique roadside stops with Roadtrippers app. You can set a distance off the road you are willing to explore, and the app does the rest. You can also use this to map to your destination or try Waze to keep you alert of traffic, accidents and other roadblocks. Ear candy: Download the Podcasts app to tune into your favorite podcast on the road. We’ve suggested some of our favorite podcasts here. Cut costs by finding the cheapest gas through Gas Buddy, which locates gas stations near you and syncs their current gas prices. If you don’t drive very often during the week, but love to road trip on the weekends, you could save a ton of money on pay-per-mile insurance with Metromile. You won’t be charged for miles you drive over 250/day (150 in certain states), so if you go on a long trip, you’ll actually save big. Get a free quote here. Spring is here! We’re enjoying the newly blossomed flowers and fresh air, but we’ve got some important tasks to complete at home. It’s time for spring cleaning, and that includes car maintenance. Use a hair conditioner that includes lanolin to wash your car and give it a freshly waxed shine. 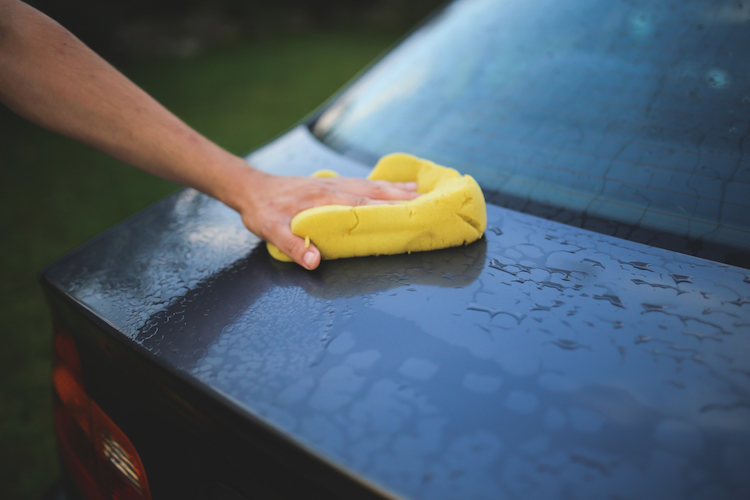 After it rains, pour a cola over the windshield to get rid of streaks and blotches, then wash off with water. Be sure to put a towel along the bottom of the windshield to protect hood paint. Spray shaving foam on your mirrors and wipe to see more clearly. After your dust your dashboard, add more shine by rubbing a little olive oil in with a clean cloth. If you have leather seats, use a damp cloth and neutral detergent to clean, then dry with soft washcloth. For fabric seats, spray water mixed with a neutral detergent and wipe down with a damp cloth, then a dry cloth. Leave your windows open to allow your car to dry completely. Lost the new car smell? Cut a lemon in half and leave it in the car for 24 hours to freshen up your car’s scent. Don’t air dry after washing your car: use a soft terrycloth and a squeegee to soak up any excess water and avoid streaking. Mechanic Matt also recommends you keep your car in tip-top shape to keep it healthy and reliable. Check out his tips here. Metromile is dedicated to keeping your car in its’ best possible condition, and even offers an “Ask a Mechanic” tool through our app to help decode check engine lights. Sound interesting? Learn more about Metromile’s pay-per-mile insurance offering here. *These suggestions are ideas found from different blog posts and news sites across the internet, and have not been tested or endorsed by Metromile. Be sure to test (or ask your dealer) what works best on your car before trying these at-home remedies. Try pay-per-mile insurance: If you are a low-mileage driver and drive less than 10,000 miles a year (around 200 each week) you could save a lot of money with pay-per-mile insurance. Your monthly bill is based on the miles you drive, so if you don’t drive much, you won’t pay much. Worried about the occasional road trip? Metromile won’t bill you for more than 250 miles a day (150 in certain states)! If you are interested in seeing how much money you could save, try getting a free insurance quote. Join a carpool: Chances are you aren’t the only person driving a similar route to work — daily traffic is proof of that. Team up with others in your neighborhood and start a weekly carpool to save on gas and sneak in some valuable work time when you aren’t behind the wheel. There are lots of apps that can aid in this endeavor, like Carma, Ride and even a new pilot from Uber. Many of us just turned back our clocks for Daylight Savings which means shorter, colder days are soon to be upon us. So as you break out your sweaters from storage and invest in a few space heaters, it’s also important to make sure your car is winter-ready. Wet roads, dark commute hours, ice, snow and cold temperatures all put a strain on our vehicles and could lead to costly accidents, so it’s important to take precautions before it’s too late. Although winter doesn’t officially start until next month, there are some things that we can do ahead of time to prepare for the chill. Ensure your tires have tread. Tires are the most important component to safe winter driving. It doesn’t matter what kind of vehicle you drive, the tires are the only contact your vehicle makes with the road. The area where the wheel touches the ground is called the contact patch, and while it’s small in size, it’s important to keep it as efficient as possible. Tires are designed to expel water, snow and other road debris so that the tire tread does not fill up and lose contact with the ground. If the tread loses contact, your car will hydroplane and you could totally lose control. Avoid this by ensuring your tires are in good shape and have about 1/3 of an inch of tread. You can measure with a penny – simply take the coin and hold it with Lincoln’s head facing down. If the penny goes in past the top of his head, the tires are good, but if the tread does not reach the top of his head, the tires need to be replaced. Keep in mind that even though the tires seem fine, lower tread depths are still less efficient are and may have problems if pushed too hard. The other component that keeps the contact patch efficient is vehicle speed. If there is a lot of water or debris on the road surface, slow down. This allows the debris to be expelled through the tread more efficiently and keeps the tire firmly planted on the road. Functioning wiper blades are very important in maintaining full road visibility. Winter months are cold and dark, and when the roads are wet, the light from your headlights bounces off of the road surface and makes it more difficult to see. If your windshield is wet, dirty or streaky, visibility will be impaired even more, which can potentially lead to errors in judgment and ultimately an accident. Wiper blades are inexpensive and can usually be purchased for $30 or less at most auto parts stores or online. Engine coolant is made up of over 50% of water. The rest of the coolant is comprised of chemicals that help lubricate the water pump, keep the engine cool and prevent it from freezing. If you live in an area that gets below freezing temperatures, it is important to have your coolant changed or at least checked before the temperatures get too low. If the coolant in your engine freezes, it can expand to the point where something inside of your engine cracks or causes the radiator to break. Both of these situations can be very expensive since a whole new engine will be needed. Take control of that situation and have your cooling system inspected before the freeze. These are just a few things that you can do to keep you and your vehicle safe during the winter months. For the last post in our new car owner series, we are going to shake things up a bit and focus on the things you shouldn’t do. If you recently purchased a new car (congrats! ), there are a few habits you should avoid from the get-go so you can maintain your car’s value if you ever decide to sell. While it might sound counterintuitive to start thinking about selling your car soon after buying it, you will get the most bang for your buck when you take good care of your valuable investment from day one. There’s no harm in becoming borderline-obsessed with keeping your new ride squeaky clean. While it’s totally fine to skip a wash or two, don’t let it become a habit. Things like sunlight, rain and even bird poop can wear away at a new car’s finish. Stay mindful of the dirt that can build up and have your car washed a couple times each month, either at your local carwash or at home if you have space (a great way to save money). If you are living in California amidst the drought, check out this article about how to wash your car with a single cup of water. It is also recommended that you get a full detail a few times a year, which is likely offered at the carwash as well. It’s tempting to personalize your car to truly make it “yours”, but be weary of tweaks that can’t be undone. Avoid any add-ons that alter powertrain or safety equipment – this can interfere with your car’s warranty. Even things like bumper stickers can leave residue and reduce your car’s value. 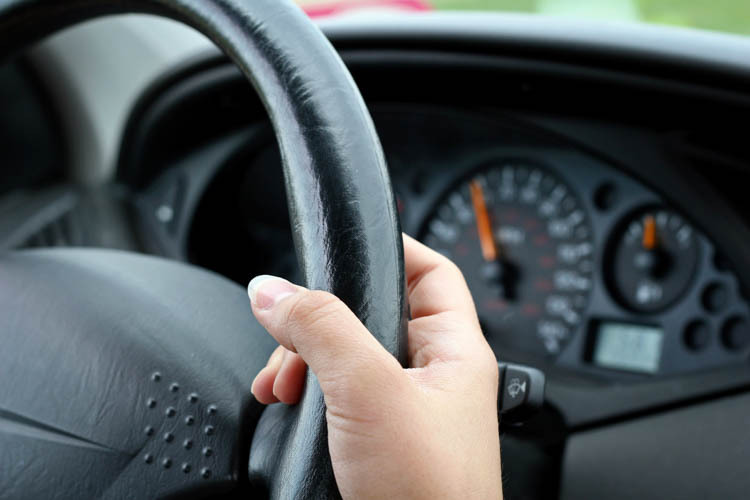 Stick to things that can be easily switched out like an air freshener or the classic fuzzy steering wheel cover. Purchasing a new car can be very exciting. From the initial research to negotiating with the dealership to showing it off to all of our friends, it feels good to have finally bought a new car. But after the purchase you need to focus on keeping that new car looking and driving like new. Let’s face it, your car will never look the same as it did when you drove it off the lot. Here are a few suggestions for keeping your new ride in pristine condition. 1. Have the exterior waxed. The paint on your vehicle will have to deal with some pretty harsh conditions over the years such as extreme heat, UV rays, rock chips, bird droppings, and even snow and salt. Having the exterior professionally waxed every year will create a protective layer on the exterior surfaces that will help in minimizing the effects of the elements, keeping your new ride looking sharp for many years to come. 2. Avoid the temptation to apply a bunch of shiny protectants to the interior. Although these products will make things look shiny and smell good, they can actually remove the plasticizers out of the interior finishes, increasing the likelihood of age or sun related cracking. There are products that are designed to clean interior surfaces with a Ph-balanced solution but use them sparingly. 3. Regular preventive maintenance is probably the most important thing you can do as a new car owner to keep your car healthy. Anyone who’s spent a ton of money on repairs will warn you not to ignore preventive maintenance. The basics, such as changing your oil, checking your tire pressure and getting scheduled inspections and are like getting regular checkups at the doctor. This keeps your car healthy and also gives a chance to catch anything serious before it becomes a major problem. That could save you thousands down the road. 4. Pay attention to recalls. We have all seen small problems turn into major ones when the dealerships sell products that have safety defects. Some of these problems do not become apparent until years after the vehicle was made. Manufacturers are proactive these days in alerting the consumer of these issues, so pay attention to them. You may receive a voluntary recall notice in the mail years after the purchase, so make sure you take the necessary steps as soon as possible so that your car stays safe and reliable for years to come. These are just a few simple things that you can do to keep your new ride looking good and running smooth. If you’ve never gotten a flat tire – lucky you! And if you have, maybe you wish you had been a little more prepared to deal with this all-too-common yet extremely frustrating situation. While most cars typically come equipped with a spare, there’s more to fixing a flat than simply calling a tow truck or learning how to change your tire. Follow these tips to ensure that you don’t lose steam the next time your tire loses air. Underinflated tires are one of the most common causes of flats because they create more friction, potentially leading to excessive heating. Overinflated tires are concerning as well because they can cause uneven wear on the treads and blowout if they get too hot. To avoid both of these scenarios, use a tire gauge to ensure your tires are inflated to the recommended PSI level, which you can find in your car owner’s manual or door jamb. And since you never know when you will encounter a bump in the road (both hypothetically and realistically speaking), make sure your spare tire is properly inflated as well. You should also keep an eye on your tires to check for anything that looks off. While it’s pretty difficult to eyeball the ideal PSI level, you’ll be able to notice if your tire pressure seems super low or if there are any weird bulges. It’s also important to keep an eye on your tire treads to see if they start to look worn out. Try this quick trick: stick a penny in the treads with Lincoln’s head upside down, and if you can see all of his head, it’s time to replace your tires. Head to your local mechanic to check things out before it’s too late (cue the scary music). 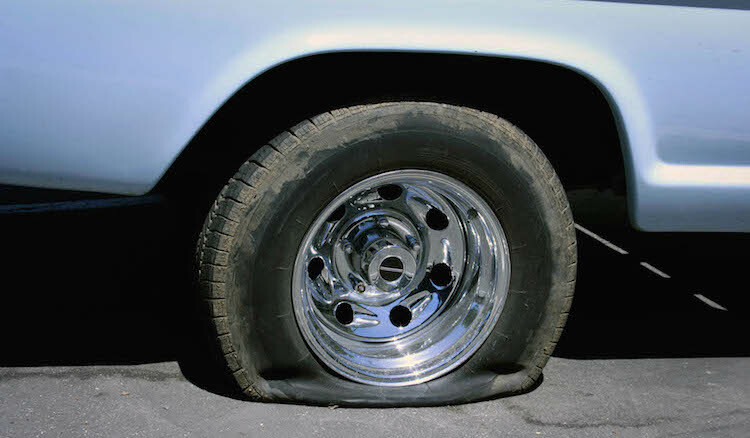 You’ve got a flat – now what?